“Through the collaborative partnership of the council and Aspiring Futures, residents have been able to progress onto further learning, training, paid employment or other support services. For more information email workbox@wolverhampton.gov.uk or contact Community Skills & Employability Coordinator, Karen Sahota, on 07881 358679 or email karen.sahota@wolverhampton.gov.uk. 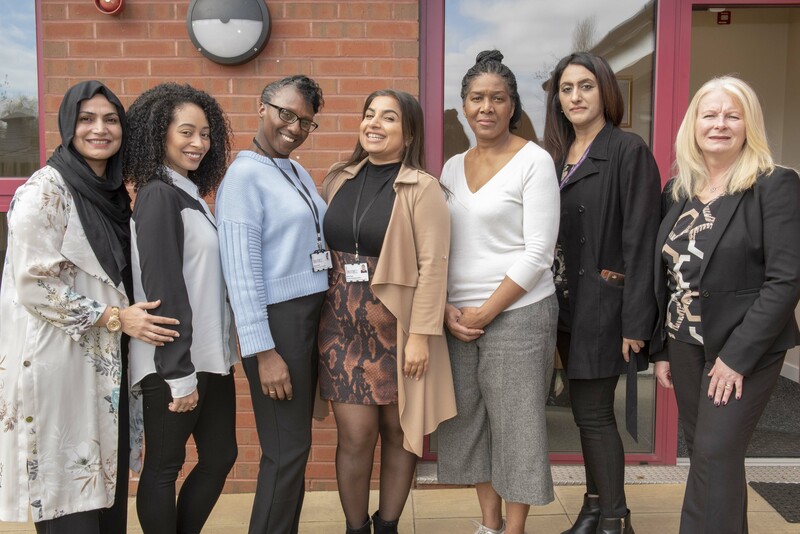 Image caption (L-R): Sofia Haider, Lavinia Jackson, Bethune Smith, Maliah Fazal and Denise Wilson from Aspiring Futures, and Karen Sahota and Sue Lindup from City of Wolverhampton Council’s skills team.